Last weekend, I loafed around in my slippers, drinking tea and watching tv shows on Netflix. I always keep rice, a can of black beans and a can of tomatoes in my pantry. This is the kind of recipe I know I can make without having to run to the store. It’s also very budget friendly, especially if you buy dried beans and cook them yourself. Prepare the rice as usual. In a large pot, fry the onion and garlic in oil until they brown. Add the spices, beans, tomatoes. Simmer for at least 20 min, or until the mixture is less liquid. Serve over rice. The recipe is super simple. The goal is to use anything you have in your pantry. If you feel like using taco spice, go ahead. If you have some bell peppers, chop one up and saute it with the onion. I love it very spicy, and often use cayenne pepper or fresh jalapeno to season the meal. It will definitely warm you up. Just be creative! 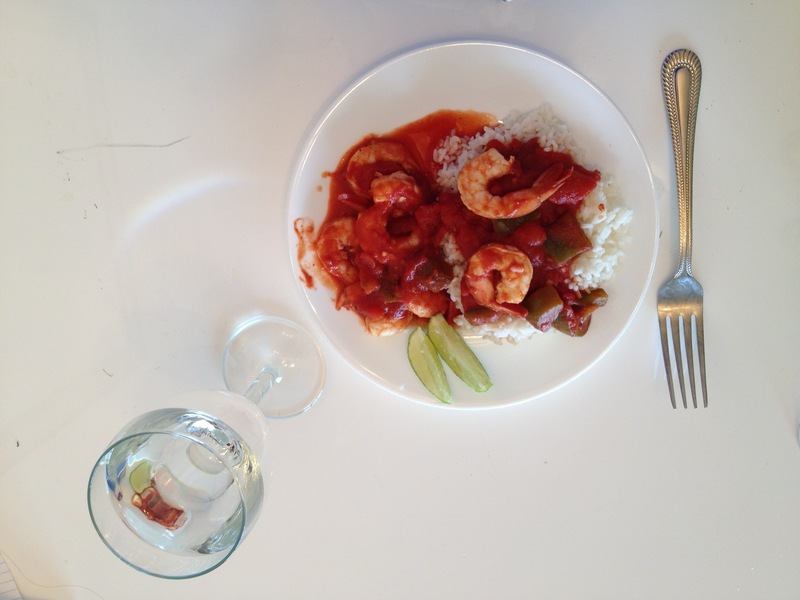 As you can see from the pictures, I added some shrimp to the dish and garnished with like wedges. Are you a creative cook or do you prefer to follow a recipe to the letter? I’m a bit of both, it depends on what I’m making. I cook creatively but bake methodically.